SMT pumps are three screw pumps for industrial use at low and medium pressure (80 bar). SMT pumps represent a reliable and low noise component for many industrial applications where long life and low cost are required. SMT pump is a priming pump assembled into a body pump. The three screws rotate inside the body pump and the design of the screws avoids any axial load. The functional pressure develops some tolerance between the balancing piston of the main screw and the surrounding body. This creates a balancing hydrodynamic force of the screws and, at the same time, lubricates and cools down the sealing parts. SMT8B series are three screw pumps ideal for heavy duty cooling and chilling applications. 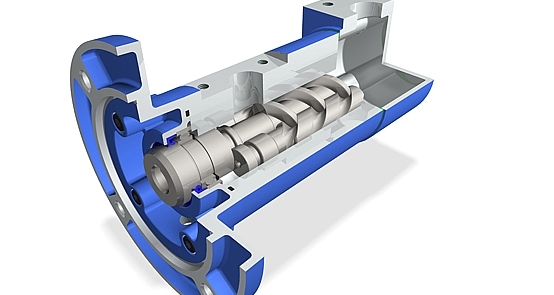 The extremely compact design enables to use this pump also in applications where there is no space for traditional screw pumps. SMT8B pumps are very often used for gear box lubrication, hydro power, jacking oil systems in the wind energy, industrial and mobile sectors. SMT16B are three screw pumps for industrial use at low and medium pressure (40 bar). SMT16B pumps represent a reliable and low noise component for many industrial applications where long life pump and low cost are required. 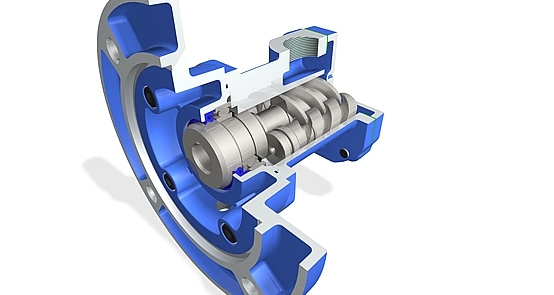 SMT16B pump is a priming pump assembled into a body pump. 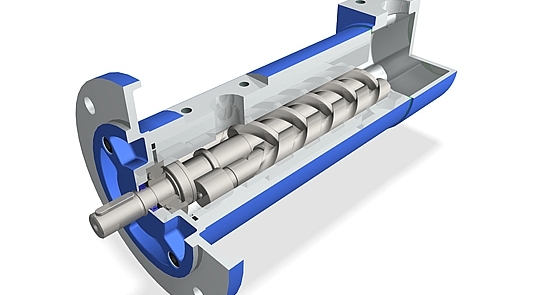 The pump body and the design of the screws avoids any axial load. The functional pressure develops some tolerance between the balancing piston of the main screw and the surrounding body. This creates a balancing hydrodynamic force of the screws and, at the same time, lubricates and cools down the sealing parts.